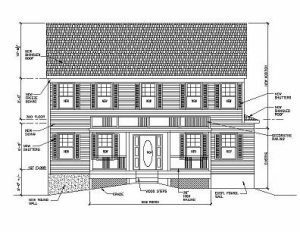 Gloucester County NJ Architectural Design - Steve Paul L.L.C. I offer architectural design services in New Jersey and in the Philadelphia area of Pennsylvania. My office is located in Gloucester County, NJ. Architectural design services include blueprints, building plans, Adobe PDF proofs, and other services. I provide a full range of architectural design services including sealed architectural drawings for residential and commercial purposes. Additional services include house floor plans for remodeling or renovations. Also I can help with a variety of AutoCAD drafting and design needs including Residential Home Design & Commercial New Construction projects. Finally, I want to thank you for this opportunity to inform you about my Gloucester County, NJ architectural design services. I look forward to working with you on your next project. While you can contact me by phone during business hours, please submit work project details using my Architectural Services Inquiry Contact Form. After that, I will follow up as soon as I can.